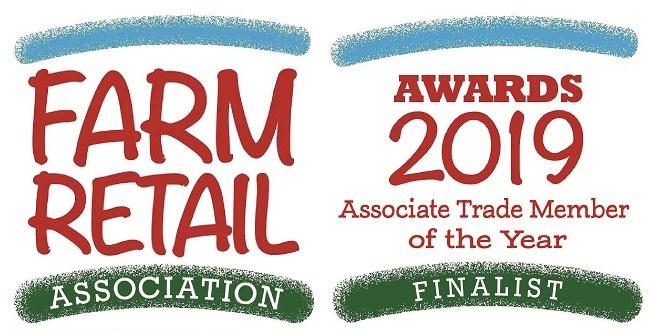 We are proud to exclusively supply independent farm shops, so are delighted to be shortlisted as an Associate Trade Member of the Year in the Farm Retail Association Awards 2019. The Farm Retail Association (formerly FARMA) annual awards celebrate the best farm shops, farm cafés and restaurants, farmers’ markets, Pick Your Own farms and trade suppliers. They are the only awards that are judged by fellow farm retailers. The winner will be announced at the Awards dinner as part of the Farm Retail Association’s Annual Conference and Trade Show on Tuesday 26th February in Oxford.